The town of Sozopol (pop. 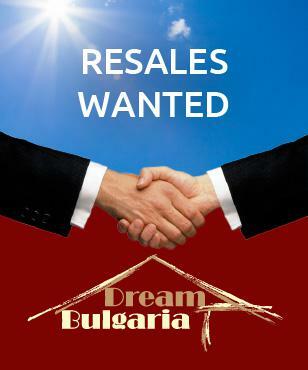 4300) is situated 35 km south-east of Bourgas and 420 km east of Sofia. The so called 'Old town' of Sozopol lies on a small rocky peninsula in the farthest southern area of the the Burgas Bay. 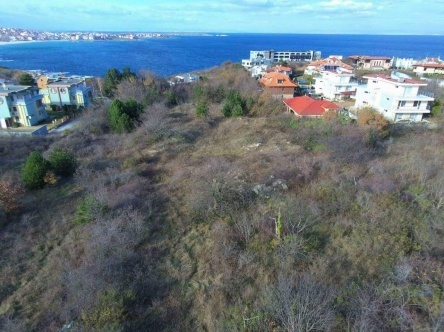 A Hundred metre long strip of land connects it to the mainland, where in the 20th Century began the building of the new zone of Sozopol. In the Sozopol bay many anchors from II – I B.C. have been discovered, proof of active shipping since ancient times. 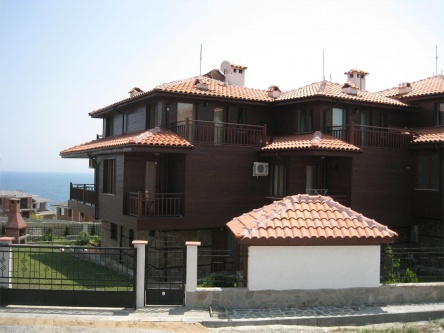 Nowadays Sozopol is very popular tourist destination. Sozopol is famous not only with its great beaches, but also with its cultural life. Interesting places to visit are the Archaeological Museum and the Art Gallery. At the beginning of September each year the town hosts the big Apolonia International Art Festival Accommodation. Once, Apolonia was an ancient fortress, at which place the today’s town has been established. Nowadays the Festival of Art carry that name- Apolonia. The Festival takes place in the beginning of September each year since 1984. Today Sozopol combines ancient and modern times and its architecture successfully joins the old town to the new one. Its splendid beauty and artistic atmosphere attract many tourists from all over the world. A lot of new hotels and establishments have been built in the past ten years - there are plenty of restaurants, clubs and tourists' attractions. The traditional establishments are the small coastal restaurants, small private places both in the old and new part of the town, the stalls for fish, the pizza-huts, the snack-bars scattered all over the camping sites. Interesting catering establishments are Vyaturnata Melnitsa (The Windmill), Sozopol Tavern, Athens Tavern, the restaurants Xantana, Neptun, Drouzhba Fishing Boat, Orpheus, Olymp and Lilia. The prices at the restaurants are high, moderate prices one can enjoy at the camping sites and in the small restaurants along the beach. The beach strip is wide and covered with fine sands. The famous Tsar's Beach is located to the north of the town. Nestled between the rocks to the south of the town is the Raiski Beach (Paradise Beach) and further southwards - the Kavatsite camping and beach. The Harmanite Beach is immediately to the south of the so called "New" town. An ancient necropolis was found here in 1993 and excavations are still going on. The Golden Fish beach is located 3 km south of Sozopol. Other popular camping sites are Smokinya (The Fig), Zlatna Ribka (Golden Fish) and Gradina (Garden). They offer bungalows of different categories and spaces for caravans and tents. 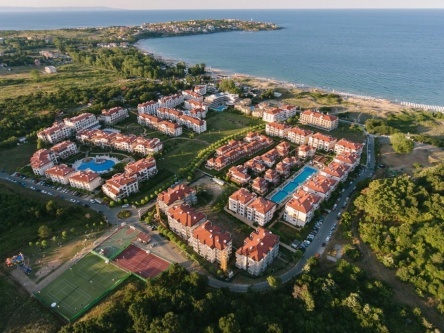 Around Sozopol: To the north is the well known resort at the village of Chernomorets, which borders the Gradina camping site. To the south of Sozopol there are a number of fjords-like formations. The coast here is particularly high and cut in by the incoming waves. Six km away from Sozopol is located the Duni resort, Tourists can also visit the Arkutino swamp, covered with water- lilies. 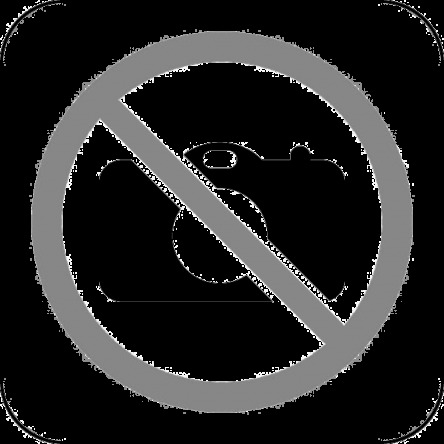 There is a regular bus service between Sozopol and Bourgas, that also service the other coastal towns in the area - Chernomorets, Kiten, Primorsko, Lozenets and Tsarevo.